Looking for a deal? Save money by shopping our selection of discounted roller skate, roller derby, and inline skate accessories, clothing, safety equipment, and wheels. 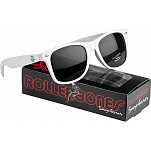 New sale items from Bones Bearings, Eulogy Wheels and Rollerbones are periodically added so check back regularly.